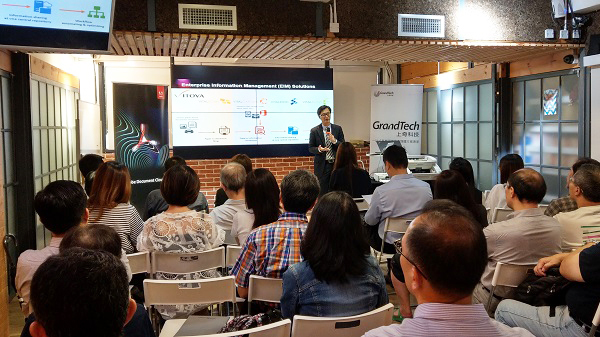 Hong Kong, August 31, 2018 - C&T’s flagship enterprise information management software, VITOVA EIM joined the “Less Paper, Work Smart” seminar of GrandTech at The Hub in Wanchai on August 30. Attracting more than 40 participants from various industries, including education, procurement, trading and manufacturing, the seminar introduced the practice of digitizing paper documents, managing and sharing documents through cloud platforms to realize the concept of "paperless office". At the seminar, Mr. John Wong (Senior Supervisor of Canon Hong Kong Co., Ltd.) shared how to quickly convert contracts and forms into standard electronic files with the use of latest Canon scanner models. 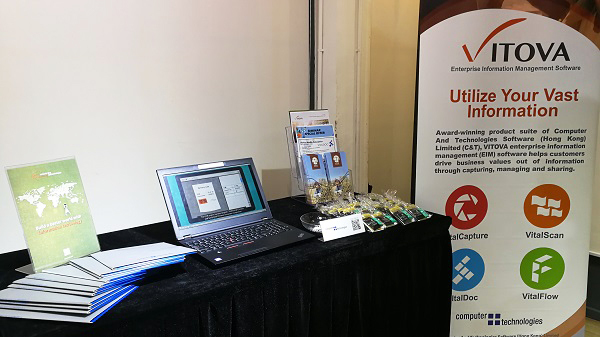 Mr. Mickey Lam (Technical Manager of EIM, C&T) at the same time introduced the specialized data capture solution of VitalCapture to convert industry-specific emails, forms, invoices, contracts, etc. into business-ready information on VitalDoc’s cloud document management platform, allowing for flexible sharing and efficient collaboration among business workforces. 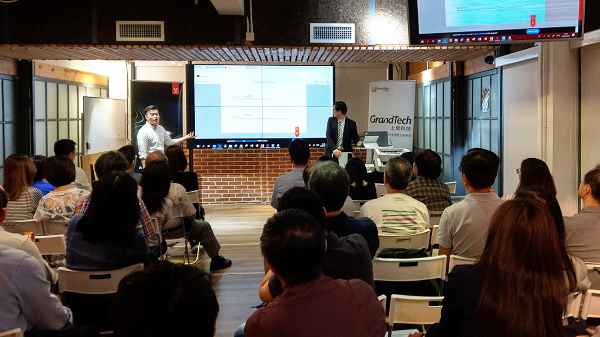 To provide better understanding for participants to make their “go cloud” decision, Mr. Jordy Luk, (Product and Business Development Manager of GrandTech) introduced the benefits of applying VITOVA and Adobe on the Microsoft Azure cloud. The speakers also demonstrated the paperless workflow of contract signing process and smooth integration of functions. Whether it is for environmental reasons or to fulfill the practical needs of storing document properly, “paperless office” is a major trend in today's commercial operations. VITOVA's application on cloud and integration with different systems will provide customers with a secure sharing platform for document collaboration, and a powerhouse of quicker and better business decisions.